for $38,000,000 with 6 bedrooms and 7 full baths. 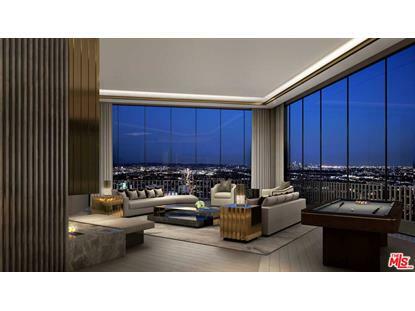 This condo is 7,000 square feet. 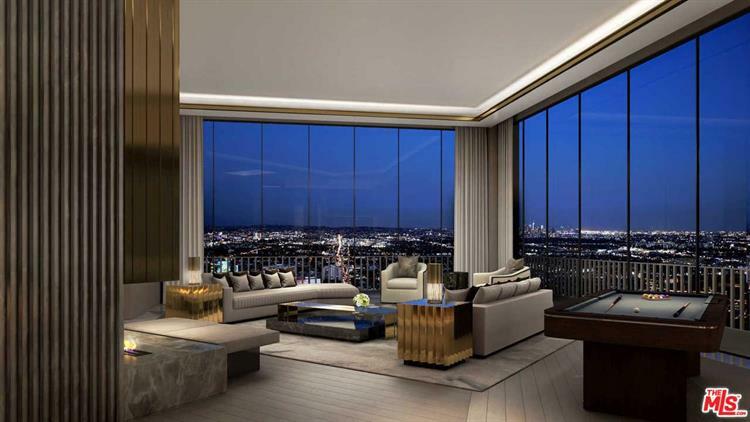 Encompassing the entire top floor of the world-renowned Sierra Towers, this unprecedented 7, 000-square-foot double penthouse is a rare and coveted blank canvas awaiting a discerning buyer's unbridled vision. 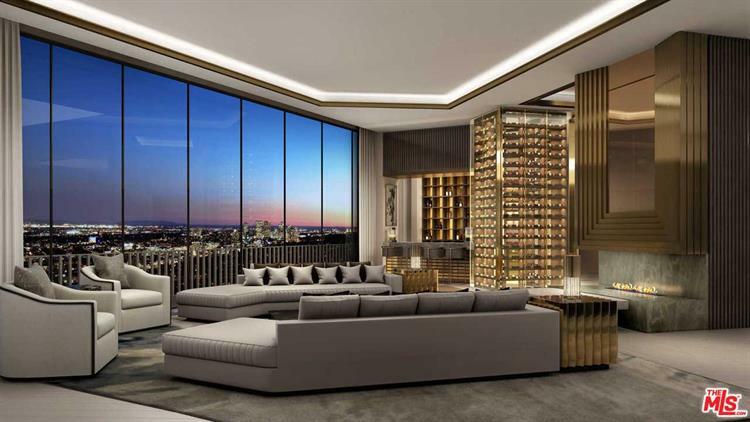 The sprawling, raw space showcases soaring 15-foot ceilings and floor-to-ceiling walls of glass that capture jaw-dropping, 360-degree jetliner views that stretch across the Hollywood Hills, Los Angeles and Downtown L.A. to the ocean. Approximately 4, 000 square feet of sweeping terraces encircle the residence, flowing seamlessly off sliding walls of glass to offer an incredible indoor-outdoor living experience totaling 11, 000 square feet in an extraordinary sky-high setting. Complete with separate service quarters, high-end security and world-class amenities, this is a once-in-a-lifetime opportunity to bring the most ambitious of dreams to life in one of the city's most iconic celebrity residences, just moments from Sunset Boulevard, Rodeo Drive and the heart of Hollywood.